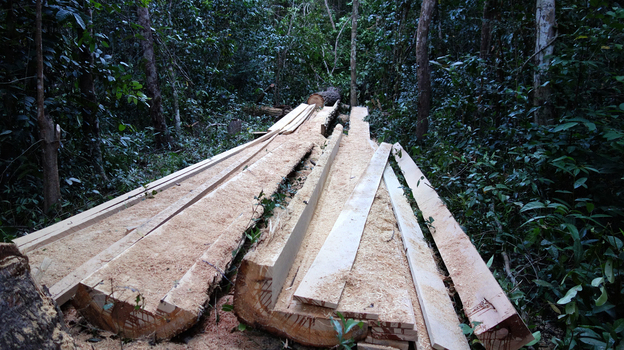 Illegal logging is widespread in Cambodia, and efforts to prevent it have had only a limited impact. Much of the wood is destined for China. PM Hun Sen has been silent about the activists and villagers in Prey Lang and other protected sanctuaries. They deserve national recognition. Why has PM not sent his “ärmy”of students to protect Prey Lang? US$150 minimum wage for garment factory workers is feasible according to research; current minimum wage is US$61. 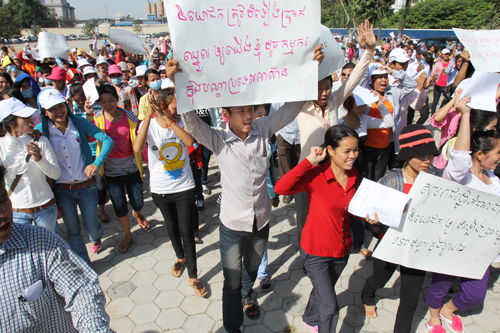 Profit made by H&M, GAP, Puma and other big brands is close to US$1 billion/year from Cambodian workers. US$2 billion is spent on administrative costs, transportation and others including unofficial fees= corruption. Workers’demands for US$150 and other benefits must be met through transparent dialogues and negotiations and not court orders and police crackdowns. Today, the Battambang court sentenced Mok Ra, a Sam Rainsy Party commune councilor in Battambang to 8 months in prison and fined him 5 milllion riels. Mok Ra was accused of illegally recording a phone conversation during the Senate election in 2012 while in fact he was talked into selling his vote to the ruling party. At the time, SRP filed a complaint with the provincial electoral committee and Mok Ra was awarded 5 million rieles. the judgment of the Batttambang court today shows a clear mockery of justice. Mok Ra will take his case to the Appeal Court. I was alerted of the desperate situation of the farmers in these 3 communes, in May 2011. Two years later, with not a single dime invested, the company is renting the farmers’land to the farmers at US$100/year. Farmers are in serious debt. Today, farmers desperately called again as the company’s tractors have cleared more land. The village chief and his wife physically assaulted a villager. Case sent to ADHOC. 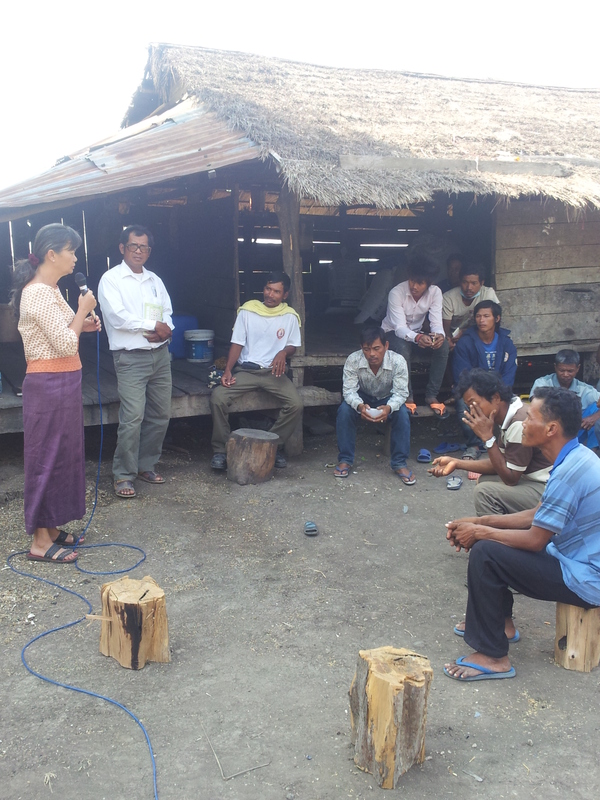 Speaking to CPP deputy village chief who is sued by the company for farming on company’s land. When the PM students came to measure his land, he lost all but 10 hectares of his original 30 hectares. 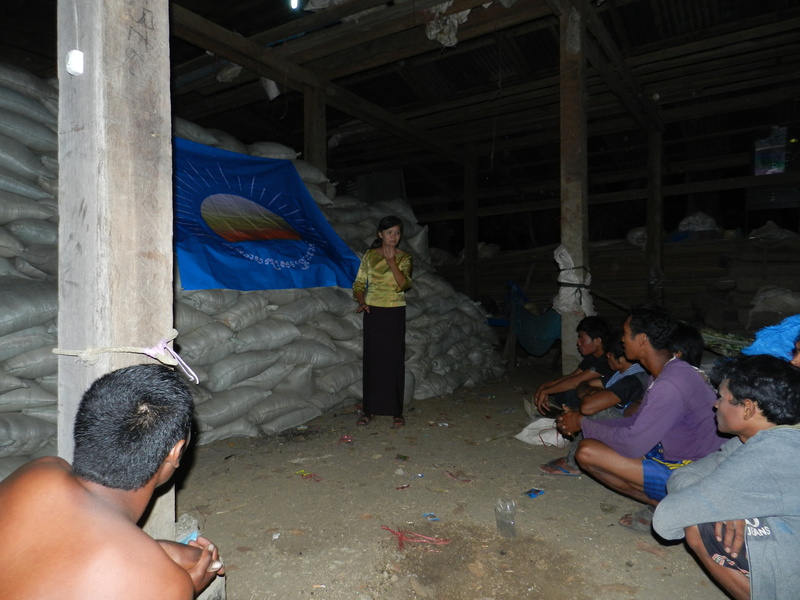 Community meeting with farmers who are not able to pay rental fees to the company. Is Agriculture the Real Priority to the Government? Since the beginning of the harvest, I have been zigzagging the Northern part of Cambodia(Battambang), Cambodia’s best land. What I see and what I hear is far different from what the Minister of Agriculture claims as the main reasons Cambodia’s has a production surplus but is stuck with its own products. 7/ none or limited market for products. Yield is higher but compared to neighboring countries, it is far below. Farmers are in heavy debts with no social protection including health care and education for their children. Local corruption including informal tax adds to production and transportation costs. These barriers to Cambodia’s agriculture sector are not new, and getting more serious as Cambodia’s competitors dominate the region and world markets and more serious of all as the Cambodian government economic land concession policy leave farmers landless and migrating inside and outside of the country to find employment. Beyond economic impact, social impact that include child labor, children dropping out of school to follow their parents and family break up must be seriously studied. Farmers are not organized, and government agricultural package goes to associations of rice millers or companies that are of high scale and connected to government officials. Farm laborers are not unionized and exposed to all forms of exploitation. 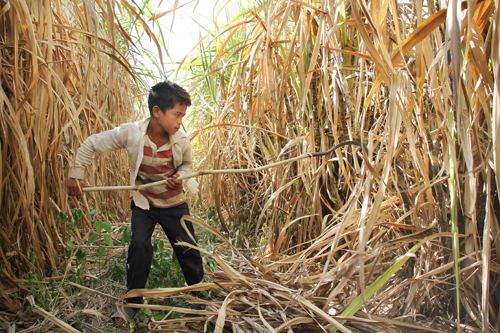 Migration of rural youth leaves Cambodia’s farmers short of labor. 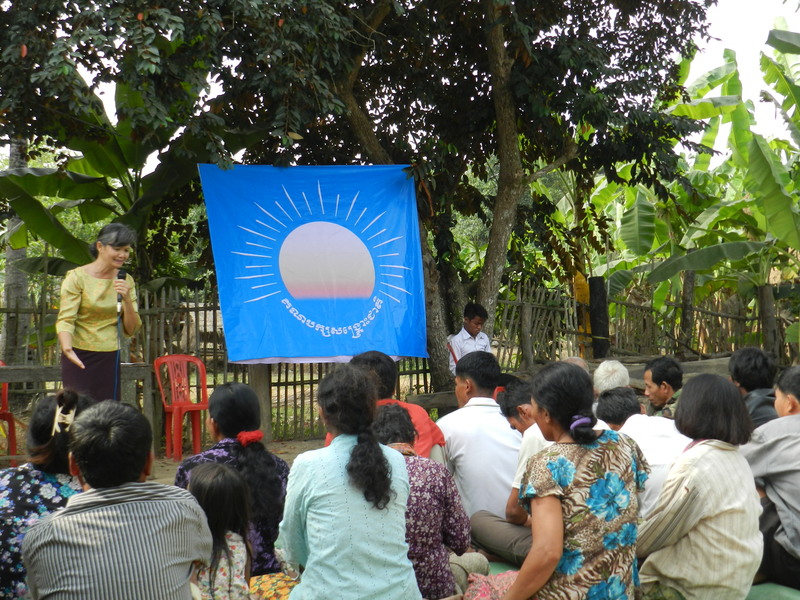 Cambodia can do much better for and with her farmers. 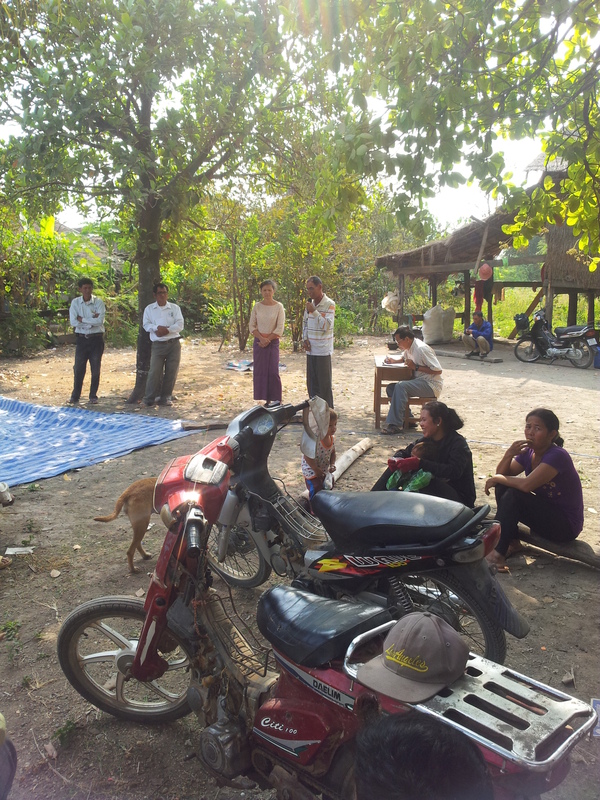 The best practice is by CEDAC, a local based NGO that has organized tens and thousands of farmers, enabling them to find European and US markets for their organic rice, a niche for Cambodia. International donors in the agricultural sector as AusAID should think about revising their aid policy. Opposition MPs have made demands for the removal of the Minister of Commerce. Cambodia is deep in trade deficit. We need to look far beyond tourism and garment sectors for growth. It is worth listening to the very end.